Y'all, I call Natchez my hometown. It's not really, but it's where my family history took root a hundred years ago, and I spent my childhood Christmases and summers here. I love this old, old town! So when Madeline and Thomas asked if we could have their engagement session in Natchez, I couldn't say "yes" fast enough!! 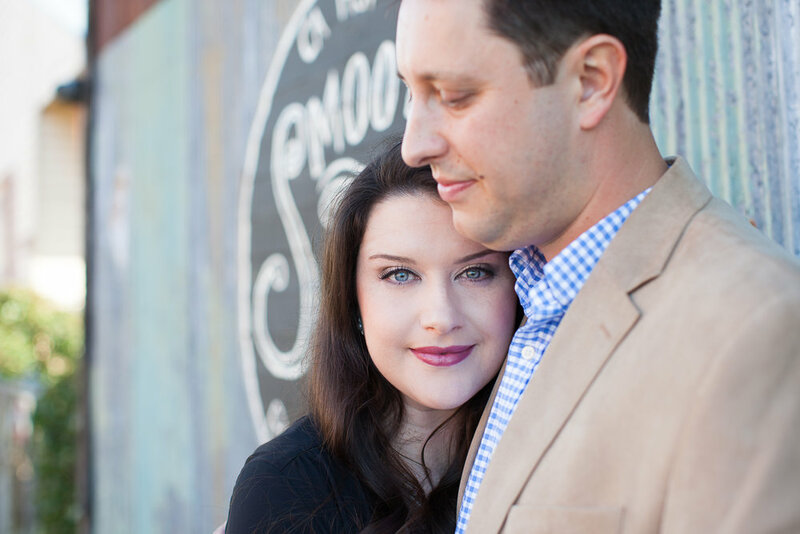 I LOVED how Madeline and Thomas made a romantic getaway of their engagement session. They spent the weekend at Monmouth Inn, and we began their day in the garden of this beautiful antebellum home. The new green of spring and the first blush of the redbuds were just beginning to color the woods. It was truly a perfect spring day in Natchez! 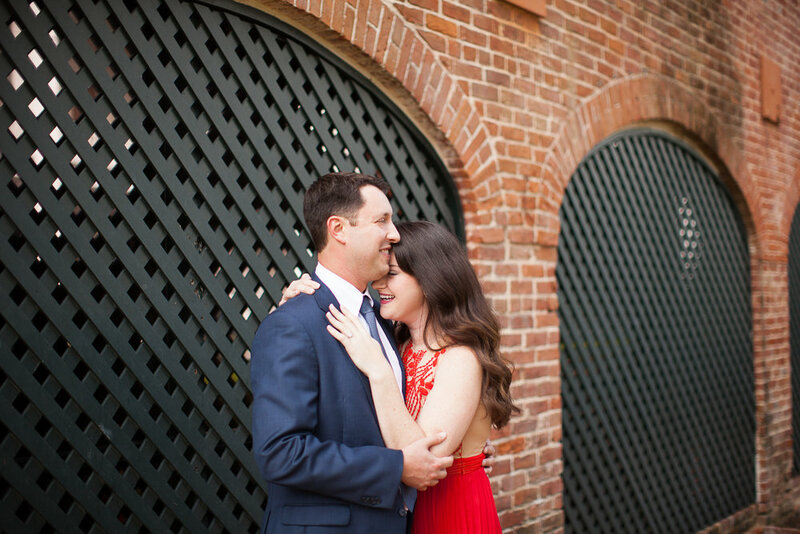 I LOVED how Madeline and Thomas made a romantic getaway of their engagement session. They spent the weekend at Monmouth Inn, and we began their day in the garden of this beautiful antebellum home. The new green of spring and the first blush of the redbuds were just beginning to color the woods. It was truly a perfect spring day in Natchez! The gardens of Monmouth in early spring are so beautiful! So in love with this place! After visiting Monmouth's romantic gardens, we walked the funky, historic streets of Natchez near the Bluff. 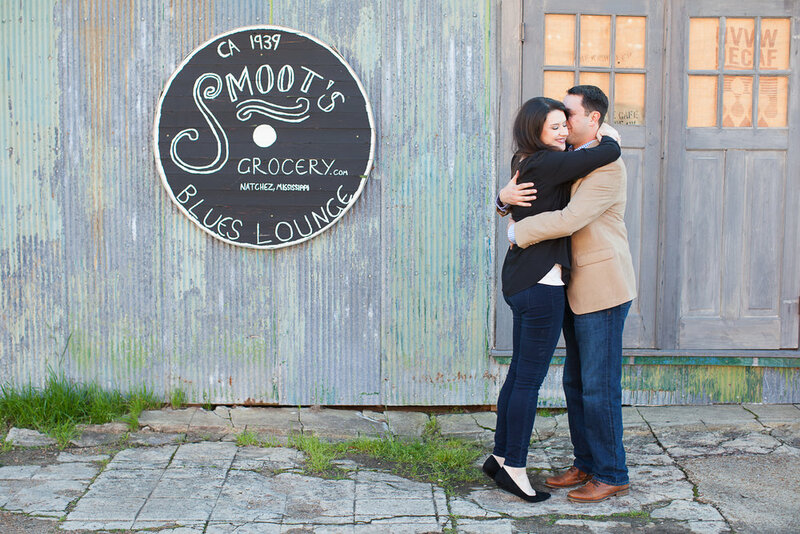 I fell in love with Smoot's Grocery (and Madeline's blue eyes.) 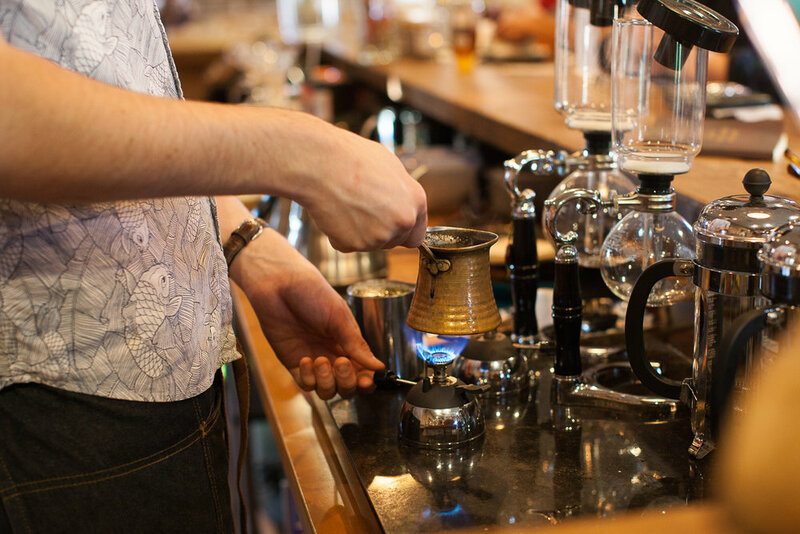 Jonathan fell in love with Steampunk Coffee Roasters. After having a little break for coffee (yesss!) we went exploring below the Bluff, and found a lovely, quiet lane shaded by live oaks. We had so much fun down there under the trees - it was as if we had our own little corner of the River! Engagement sessions that include coffee breaks? Yes, please! As the sun crept toward the horizon, we made our way back up the Bluff to watch the River turn to gold and the lights begin to sparkle on the famous River Bridge. The sun set so, so slowly over Natchez, the oldest city on the River, and so, so gently over these two sweethearts. Madeline and Thomas, spending time with you in this beautiful city refreshed us in so many ways. We loved seeing its historic homes and gardens through your eyes. It was a wonderful way to spend a spring weekend! 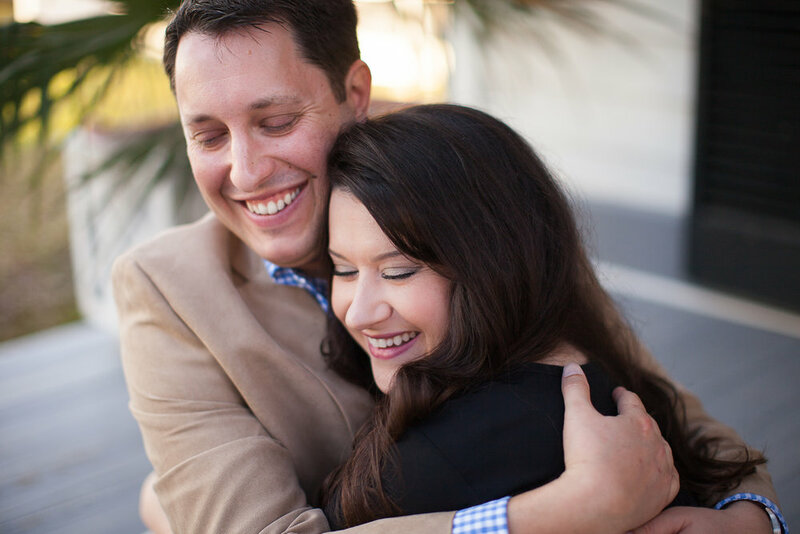 And we are SO excited to see you two say "I do" in just a few short days! Happy Wedding Week! For more information about visiting Natchez, begin here.